It is well known that Michelin stars are the highest aspiration of all the chefs and restaurateurs of the planet. Seeing the name of your restaurant appearing on the guide is synonymous with quality and excellence, not to mention customer feedback. Going back a few decades, we find ourselves in Clermond-Ferrand in France, in the leading company of tire production, the founding brothers: Édouard and André Michelin, had to find a way to guide motorists during the trip, and so they have thought of a guide that contained the reviews and advice on where to eat, stay overnight etc. 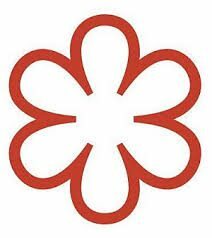 it is an important recognition that was and still is assigned by the inspectors, evaluating the kitchen, the location, the chef, the service, the cleaning and many other factors. 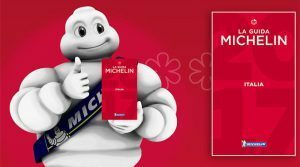 In 1900 the first issue of the Michelin guide was published. very good cuisine in its category. The process begins with the inspector who, sitting at the table in the restaurant, orders from the menu, opting for a culinary experience that allows the overall assessment of the work of the Chef and his whole brigade. Starting from the presentation of the dish, very important, (even the eye wants its part), to continue with the flavors of the dishes, the balance of the ingredients, the technique of preparing their quality and the ability to cook and to create a union unique and unforgettable. Then we move on to the evaluation of the approach with the clientele, namely the professionalism of the service, the selection and the right combination of wines, the atmosphere of the room, the furnishings, the location, the quality / price ratio. leave the mark. Every point on the list receives a vote, here we do not speak of stars but of, forks, ranging from 1 to 5, considering all the elements that we talked about before. If you are a restaurateur, we can give you the advice to buy the last guide, for the new one you will have to wait until next month, November 16th, and to start examining the starred restaurants in your area, try them and try to learn. Analyzing the competition, or perhaps it is more correct to say, who made it is fundamental. 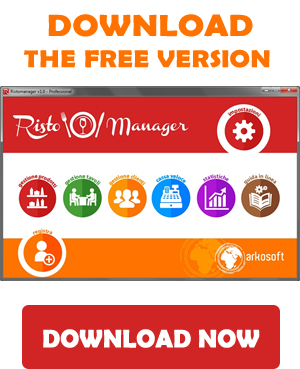 The second tip is to invest in your business, change furniture, modernize and keep up new with the times. It is better to buy an architecture book and redo the furnishings, to select the best staff you can find, travel around the world and get the best out of many different cultures. Start this research to make your restaurant one of a kind, and with dedication and perseverance the results will come. 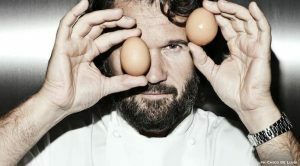 For the new edition of the guide, the eyes are focused on the famous chef Carlo Cracco, who last year spoke because he lost a star, and he has moved his restaurant in the Vittorio Emanuele gallery in Milan. 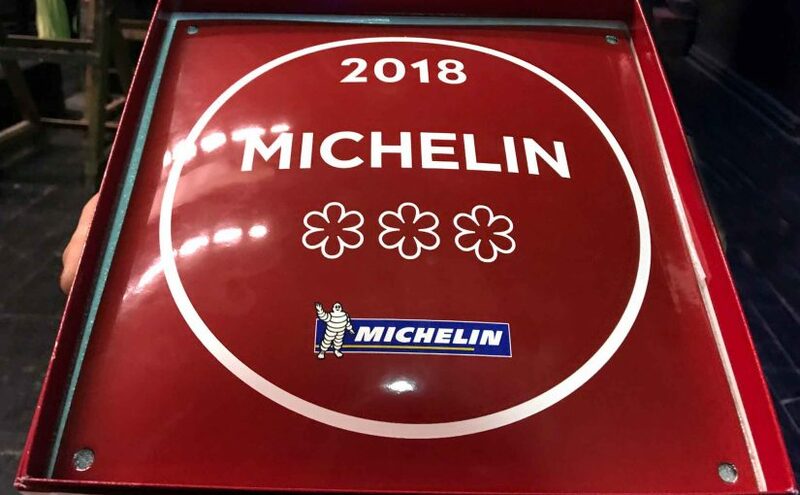 In less than a month we will find out that next to the name of its restaurant “Cracco” another star will appear, or maybe two, in order to reach the maximum prestige. 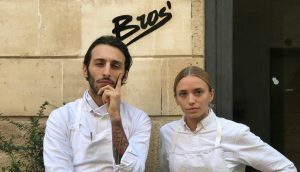 Even young people are taking their space, in one of the previous articles, we interviewed Chef Isabella Potì, who with his partner Floriano Pellegrino, also Chef, brought the restaurant “Bros” in Lecce to high levels, achieving a reputation , which at this time was among the most quoted for obtaining the first star. Italy, in 2018, has 356 recognized stars, occupying the second place in the world after France. Buy quality fish for restaurants: risks, precautions and news. Buying quality fish: the dangers of anisakis. Buying quality fish for a restaurant owner, if we want, is even more important than a final consumer. Whether you decide to buy it fresh or already frozen, it must be wholesome first and do not put your client’s health at risk. It is essential that the fish you keep in stock is not contaminated with anisakis. The latter is a nematode worm that has as “habitat” fish such as cod, sardines, tuna, hake, salmon, but also molluscs such as cuttlefish, octopus and squid. The damage of this parasite to the health of the client are many, even is coming to the removal of portions of the affected intestine. Buying quality fish: legal risks. And it is precisely on the legal risks of not having quality fish that we will focus in this part of the article. 2.non-contractual: which instead consist of the post-admission medical report following an intoxication. 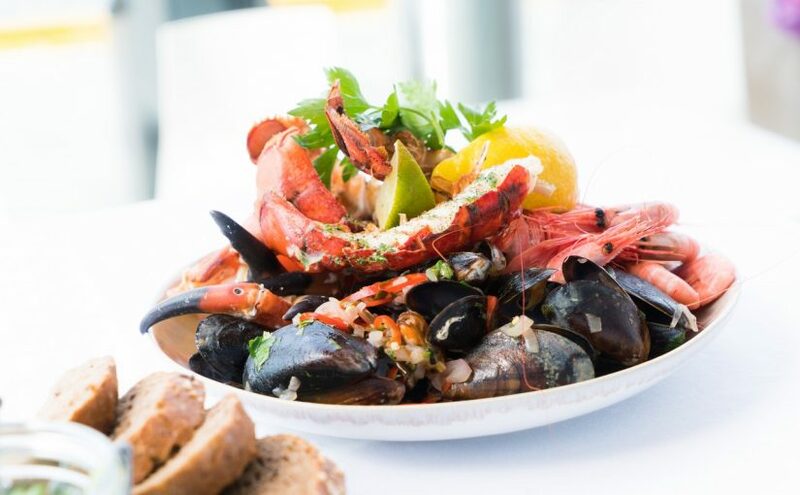 But there’s more: a ruling by the Cassation of Milan in July this year, reported on the “Sole 24 Ore”, has even condemned for fraud in commerce a Milanese restaurateur guilty of not having indicated on the menu that the fish was not fresh but bought already frozen. On this last issue, however, the legislation is still a little uncertain, which calls for a dialogue between the Associations of Restaurateurs, Eurofishmarket and the institutions. Buying quality fish: information labels. Another very important and underestimated step to check the quality of the fish is to check the label. It must in fact trace in detail all the “iter” of treatments that the fish has followed from the waters of origin in which it was fished up to your warehouse. And it was precisely the traceability of fish the hot topic of Slow Fish 2017. The fair, helded in Genoa, has announced a new initiative: of information labels. Without more symbols incomprehensible to consumers, they will have to trace in detail all the “history” of the fish product from the origin to the final destination (whether it is the supermarket or the warehouse of a restaurant). Obviously the labels will be equally detailed on the production. Cleaning the pizza oven properly allows you to have better and healthier pizzas. If you do not want your pizzas and trousers to have a newspaper flavor of the day before, or an oven that consumes too much, you should use the right precautions to clean the pizza oven. As all pizza chefs know, you need to clean the pizza oven every day. This task is quite simple: just remove any residues or debris under the oven doors with a small broom or a brush. But you should also perform a complete weekly cleaning, especially for stone countertops. In this way your pizzas will not have any unwanted taste and the performance of your oven will be good. 1.First of all, you will have to leave the oven to be cooled. Never attempt to use our cleaning solutions on a hot surface. This prevents severe burns. 3.To clean the outside part of the oven, take a rag and dab on it a little ‘stainless steel detergent. This cleaner will help remove any heat or fading halo. To give the oven a great shine, put some polish for steel or, if you want to use a solution based on organic olive oil on a cloth and rub a bit ‘on those opaque spots of your oven. 4.Use the scraper on ashes, soot and other debris on your cooking stones and use the wire brush on the opposite side to remove any stubborn residues. When you have finished this operation, collect the debris with the brush and dustpan. 5.It is important to never use water or other liquids to clean the surface of the stone. If the stone cooktop absorbs the liquid, it could also break when exposed to the high heat of the oven. The ovens offer a great efficiency. However, cleaning them can involve some routine work. As a pizza oven, you will surely want to ensure that your oven is as clean as possible, to preserve the quality of your pizzas. Tape ovens have a lot of components, which means there are more places for crumbs, melted cheese and other pizza debris to get lost. 1.Disconnect the oven. This work is hard enough without the threat of getting a shock. 2.Remove the conveyor belt. We recommend that you consult the operating manual of your oven to understand how to do it correctly. When the tape has been removed, spray nontoxic cleaner for ovens on the tape and let it stand for twenty minutes. 3.While the cleaning product acts on the surface of the belt, open the doors of the wood oven and remove the large rectangular pieces of metal that are above and below the conveyor belt. Usually you will only have to focus on cleaning the lower pliers as they usually become the dirtiest due to the cheese drains, crumbs and pizza ingredients. We recommend cleaning the first tongs once or twice a year. 4.When all the pliers are removed, always spray them with some oven cleaning product and allow them to take effect for twenty minutes. 5.While the product acts on the conveyor belt and the pliers, go ahead and vacuum up the remaining debris present inside the oven. 6.Once the inside is clean, you can act on the outside of the oven with the enamel for stainless steel or olive oil. Also, do not forget to clean the windows and doors of your oven as they also attract a lot of pizza material. 7.Take your wire brush and clean the conveyor belt and pliers, once the twenty minutes have been expired. When they reach the desired cleaning, rinse them thoroughly and leave them out to dry, then re-install inside the pliers , in their place inside the oven. 8.Now that the oven has been put back together, be sure to clean the control box grille with a wire brush. Never use a liquid detergent; You certainly do not want to short-circuit the electrical components of the pizza oven. There are the counter ovens. If you have one, you can clean it in the same way as their older brothers, but on a much smaller scale. Many of these ovens have removable crumb trays that make the cleaning of the pizza oven even easier. 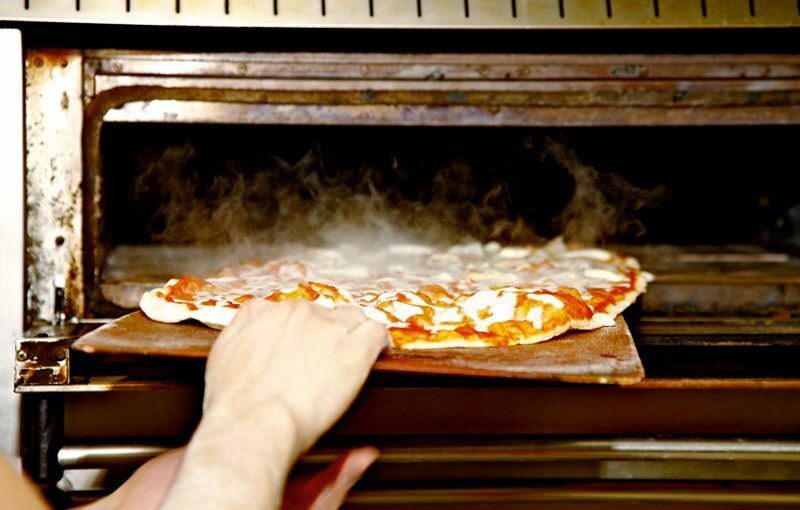 Proper care and maintenance can extend the life of pizza ovens. Although it may seem like a horrible chore, taking your time to clean the pizza oven every week and every day will prevent you from having shell out a new oven on an annual basis. Moreover, it will give your pizzas a great taste, even after multiple uses.